Where Poppies Blow tells the story of World War One through the mirror of nature. 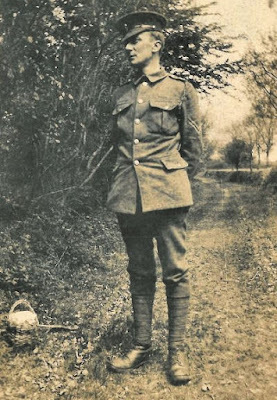 It argues that the Englishman's patriotism in 1914–18 was closely bound up with nature worship—one of the key reasons for his volunteering to fight was the desire to keep intact the beauty of the countryside. Indeed, Lewis-Stempel demonstrates that "[f]or the generation of 1914–18 love of country meant, as often as not, love of countryside" (xxi). The eight chapters cover topics as diverse as the natural history of the British, birds of the battlefield, poems about horses, lice, and pests, disease, growing fruits and vegetables in the trenches, the importance of pets, British and empire naturalists who died on active service, and the quiet that came at the end of the war. Nature was not only a powerful influence on soldiers, it was also where they lived: in the trenches, the soldiers "habited the bowels of the earth" (xxii). 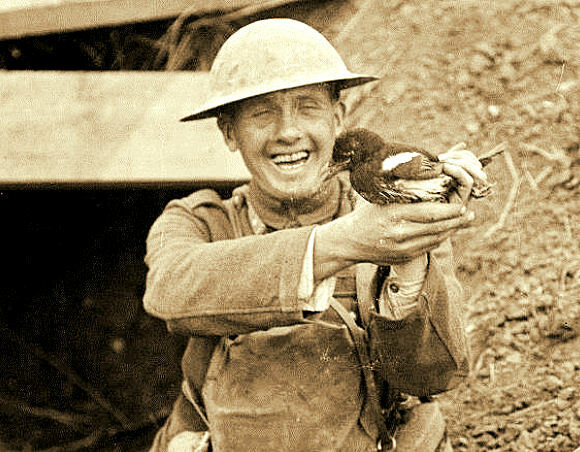 The ability of nature to endure inspired soldiers, nature had a palliative function by enabling soldiers to endure collective trauma, animals became much-needed friends in the turmoil of war, bird-watching was a favorite activity among officers, soldiers fished in village ponds and flooded shell holes, and flower and vegetable gardens flourished in the trenches. Many of the dead were buried in nature. It is no coincidence that Thomas believed that the greatest gift he could bequeath to his children was the English countryside. There was, however, another side to the soldiers' love of fruit and vegetables. Captain Crouch gave a whole new meaning to the expression "trench raid" by encouraging his men to pillage the gardens of a nearby ruined village: "we get potatoes, rhubarb and spinach. This is very good for the men, and I encourage them to go out at night to get garden stuff" (207). Not surprisingly, Chapter Five also addresses the importance of the symbol of the poppy, referring not only to John McCrae's famous poem but also explaining how, long before McCrae's poem, the poppy had been an emblem of death, with its petals the colour of blood and its multitudinous seeds the colour of night. The poppy was also prevalent at Gallipoli. He has now grown up to quite a size, and although he cannot use one leg he gets about a lot. He goes into the cookhouse every day for his tea. We shall take him with us when we move, of course, as he is quite a favourite, and the pet of the section. (244). The final chapter, "Quiet Flowed the Somme", describes the cemeteries, which constituted the "Empire of the Silent Dead" (311). Lewis-Stempel describes how the Imperial War Graves Commission ensured that the graves became gardens or small parks of remembrance and not merely "depositories for the deceased" (311). Where Poppies Blow tells a side of the story of World War One that has been ignored or, at best, under-appreciated. Replete with fascinating extracts from diaries, letters, and poems, Where Poppies Blow helps explain how soldiers were able to endure the horrors of war. The eight substantial chapters and the photographs in the center of Lewis-Stempel's study provide a new perspective on the nature of war as well as the incredible ability of mankind to endure against the odds and to make the best of a world that had been neither envisaged nor chosen. It is a powerful and timely message in our troubled times of climate change and natural disasters. This is a fascinating insight into an aspect of the military that we don't usually get. Thank you! Thank you. I will find this book. "Where poppies blow"